It was a lazy Saturday morning as we all took a trip down to Hougang Avenue 1 for breakfast. As I was told there was a very famous Chai Tow Kway stall where the idiosyncratic hawker got everybody all queued up long long for it. Anyway, the Chai Tow Kway was so-so but unlike the usual hawker fare which is usually overladen with sauces that you can no longer taste the subtle sweetness of the white carrot aka radish. Well, this hawker does exactly the opposite of that as this particular stall hates frying the carrot cake in black. Most of the time where I was here, the hawker has this big sign that says "Today No Fry Black", literally translated of course. So once we have had our tummy-patting satisfaction, we headed across the car park to the nursery where the wifey wanted to buy curry leaf, mint leaf and basil leaf plants. I think she watches one too many episode of Jaime Oliver. The boss at No.14 if I may add, is a very nice elderly chap. Very funny guy. 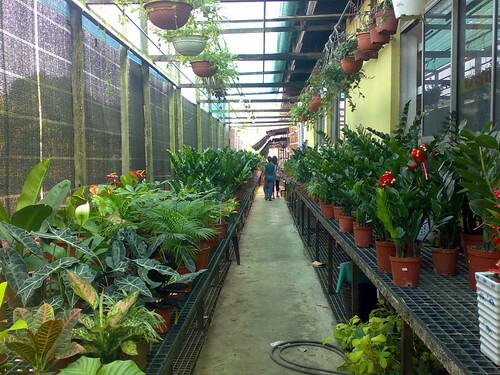 Buying the plants was a chop chop curry pok affair as frankly speaking, they all looked the same to us. We asked for the plant, we get the plant, we pay for the plant. we get outta there. he facepalm moment belongs to you, not faith. heh. eh which chai tow kuay..so near me how come i dunch know ah?! we've all done that before, dude. the parking coupon thing i mean. haha. msvindicta: Nope. Facepalm is for her. For me is bang balls. ahtiong73: It's at the lower tier of the split level hawker center, facing the nurseries under the name of "Geylang Chai Tow Kway" (translated from Chinese). Gary: You stoopid kotek. 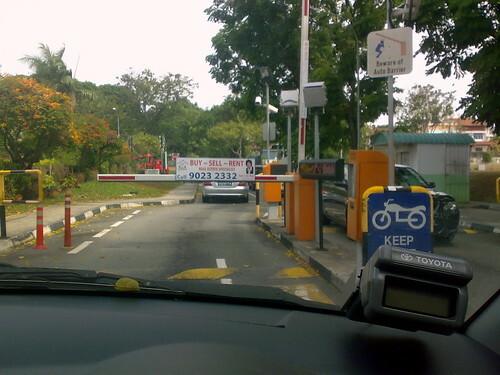 Got ERP parking liao, still got attendant one meh? then you still tear a parking coupon!?! kootek back to you..